Our apartments for lease on the 28th floor, so you can see all the modern city, the beautiful winding Saigon River, creating a very beautiful picture, but no less romanticmagnificent. Apartment fully funished for rent in Saigon Pearl in 28th floor, beautiful view, fresh air, very quite, has area 85sqm, Including: 1 living room, 2 bedrooms, 2 bathrooms, 1 dining room. Two bedrooms apartment is on high floor with taste decoration, fully furniture. Saigon river view from window of living room. Saigon Pearl with 3 towers of Ruby, Topaz and Sofia, each tower has over 500 apartments and different sizes, nice decoration. Location is easy to access, river side. Please contact with us , you will find out what your need here (Sales Departments)..
Saigon Pearl Apartment for rent The apartments feature a modern kitchen, contemporary bathroom, and an open-plan living and dining area with comfy sofa and color TV. Wireless internet access is also available for an additional fee. 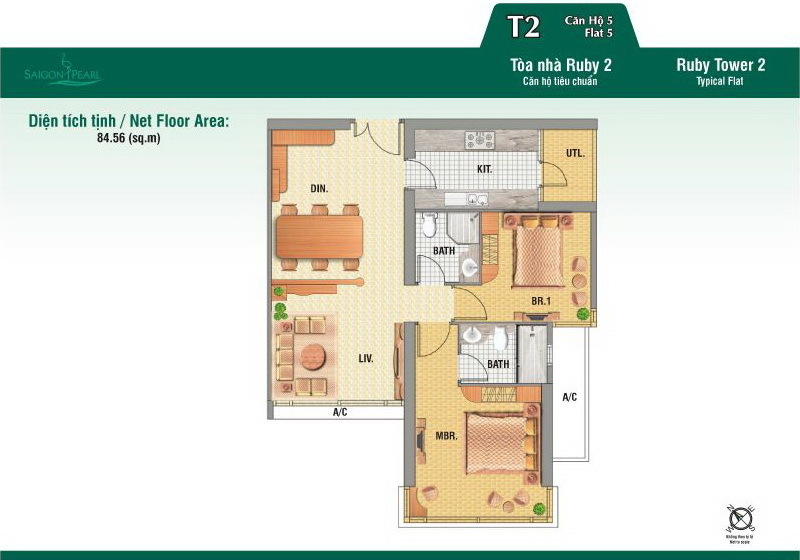 With all our furnished apartments,..
Saigon Pearl apartment for rent Location: Nestled on 92 Nguyen Huu Canh Street and only 10 minutes drive from Saigon Pearl Apartments to Ho Chi Minh City center and tourist attractions: Reunification Palace, Notre Dame Cathedral, Opera House, Ben Thanh Market,…..